Only 90-minutes long, Deep Blue Sea 2 doesn’t have time to waste. Or is does, because after star Danielle Savre ends up sopping wet, the camera follows her into a dressing room where she strips to her underwear. Camerawork luridly watches as she bends over and changes. There’s no point to this scene. She doesn’t speak. No one speaks to her. It’s there for the sake of titillation. Later, Savre randomly changes into a cleavage-exposing wet suit. No one notices this time, despite being a public room. The cleavage is enough apparently. Deep Blue Sea 2 is a dopey movie. It’s as sexist as it is dumb. 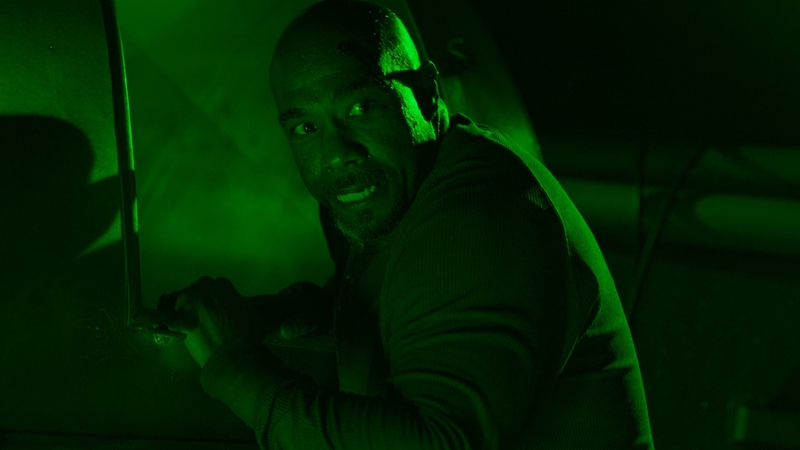 Deep Blue Sea had an exaggerated Samuel L. Jackson performance and a goofy L.L. Cool J character, who then rapped the theme song. This sequel offers nothing of the sort. The premise is matched. A scientist seeks to make sharks smarter via engineered drugs, although why sharks isn’t clear; rats, monkeys, and others seem a wee bit plausible comparatively. No matter. These sharks use their heightened intellect to fight their master, a pharmaceutical billionaire who thinks he’s saving people from killer robots (really). 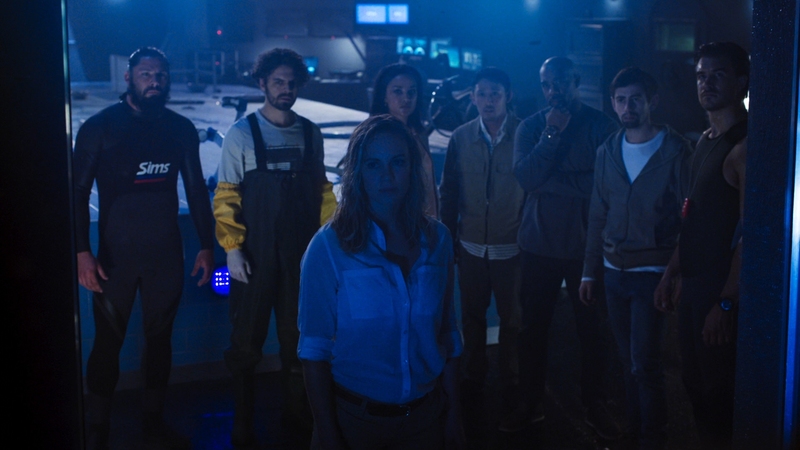 Deep Blue Sea wanted to cure Alzheimers, but now the series is fighting a potential robot apocalypse. 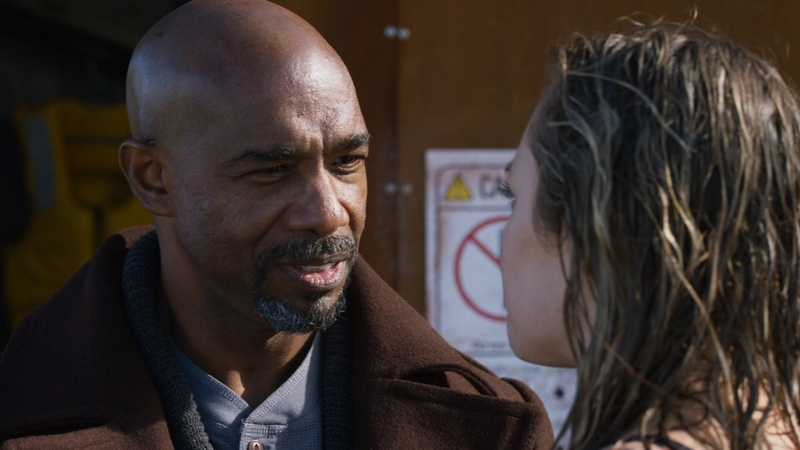 For a billionaire (played by Michael Beach), he hires incompetents. Building an underwater research base in the ocean, they choose to store fuel reserves next to the main power generator. That goes poorly. Sharks figure out a way to exploit said fuel. They’re smarter than everyone in this movie. 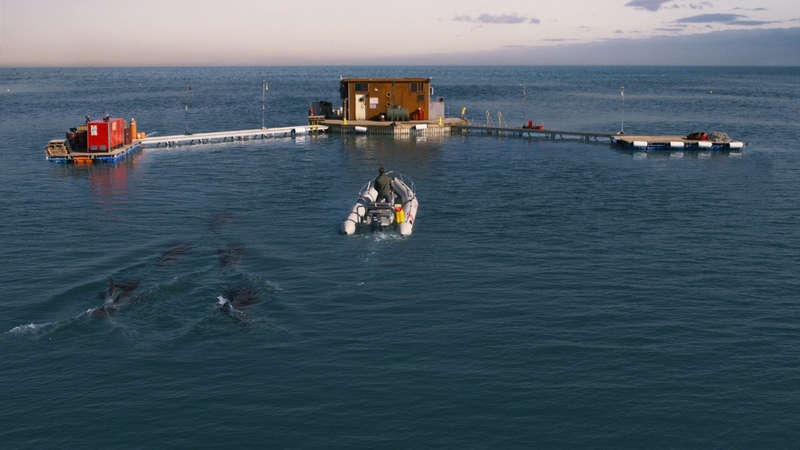 Much of the dialog concerns three things – the ethics of the experiment, enhancing the shark threat, and people shouting about an incoming shark(s). There’s not much otherwise. 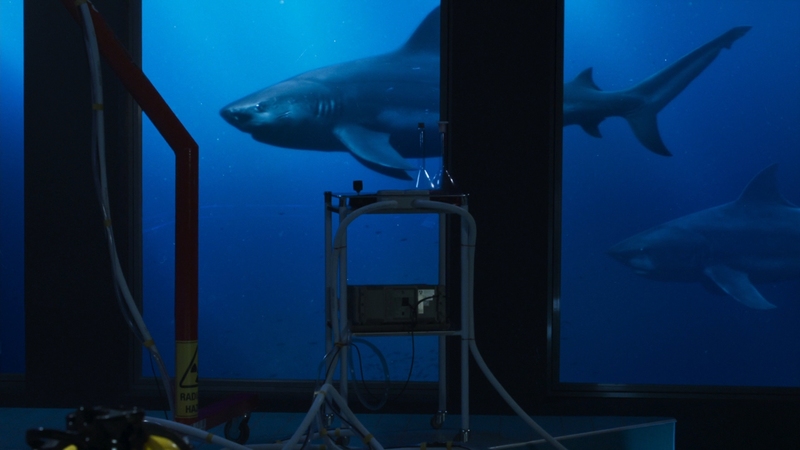 Deep Blue Sea 2 uses the lure of money to pull in a group of scientists to the base, framing the evil capitalist story in the most blatant of ways. Then, it’s off into a series of predictable, routine attacks. There is a twist. One of the sharks gives birth to an entire school, mimicking Piranha in their strikes. Water bubbles, the baby sharks make an odd screeching sound, and begin munching on victims. If anything, it’s a way to keep the sharks off-screen. Agitated water becomes a threat, not expensive digital effects. Clever. At peak stupid, Deep Blue Sea 2 plunges two characters in mortal danger. Micheal Beach begins philosophizing about the robot future. It’s up to co-star Trent Slater to talk him down – “It’s humans who are evil!” he shouts. Don’t take philosophy lessons from Deep Blue Sea 2. 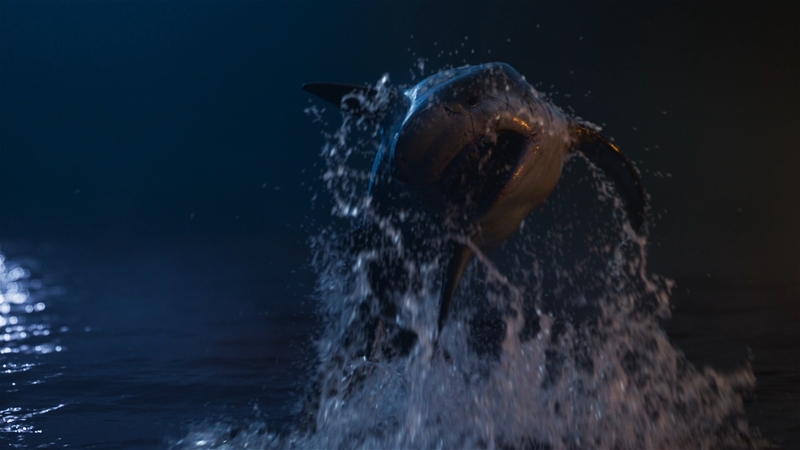 Or, don’t take anything from shark movies – their sequels more so. So-so Blu-ray mastering restricts Deep Blue Sea. 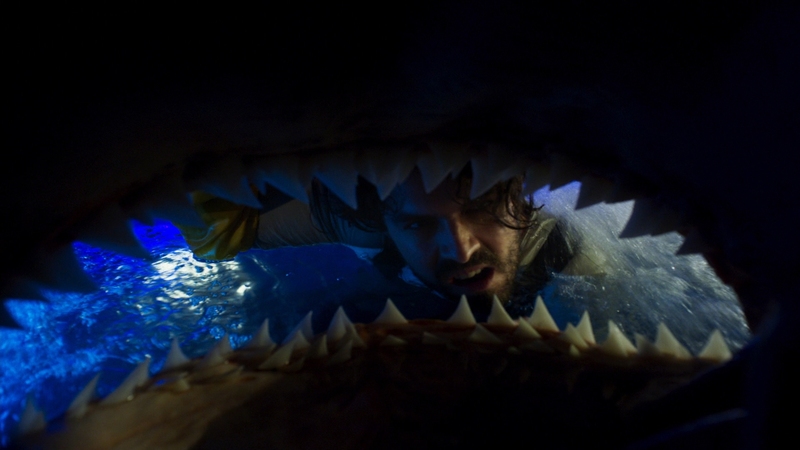 While the film opens with a bright, well saturated color palette, it’s soon underwater. Blues begin to take over, leading to mild noise. Eventually, Deep Blue Sea 2 splits into red, green, and blue corridors, lit by flood lights. That’s messy. Macroblocking begins to fill the frame, running over detail and leaving the imagery softened. Sharpness and fidelity do find a home here. Close-ups resolve whenever the compression isn’t bugging things. 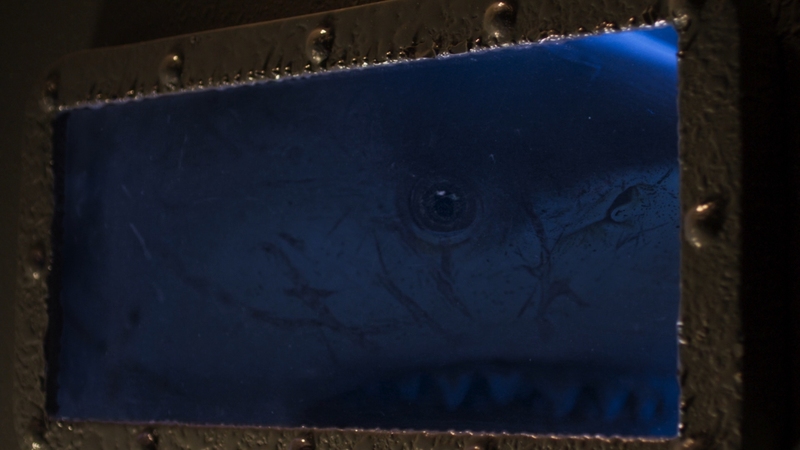 Texture is evident, and despite the issues with compression elsewhere, underwater shots of the sharks avoid banding. That’s a rare success. 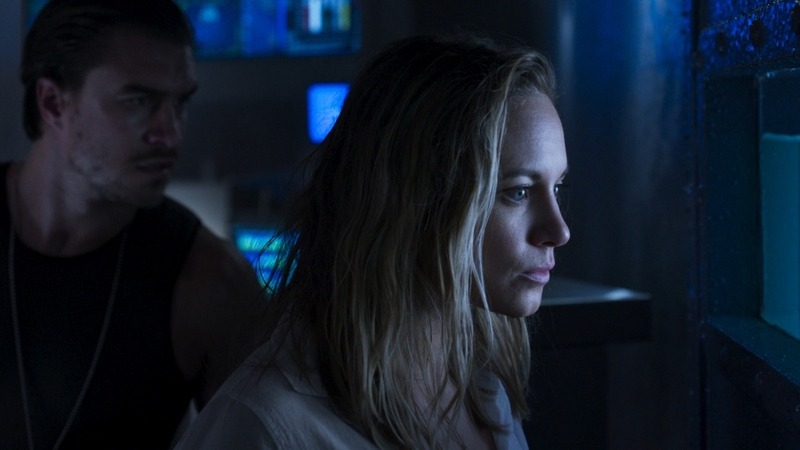 Other than the monochromatic flood light scenes, Deep Blue Sea 2 does deliver peak contrast. Black levels reach superb levels, upping the dimension. 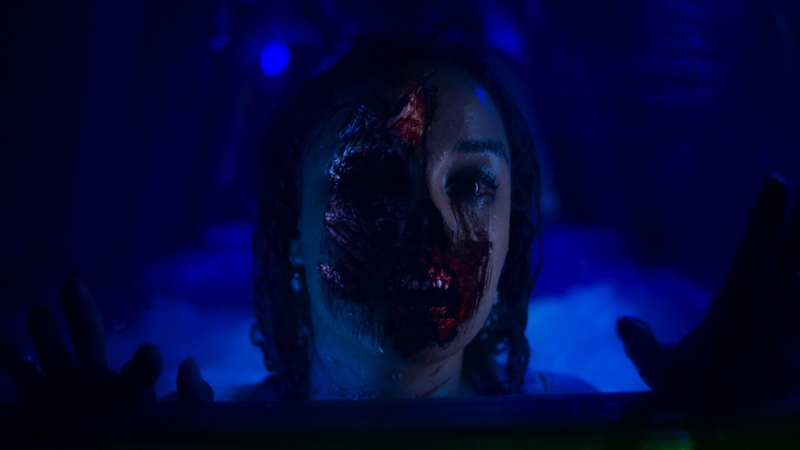 It’s attractive despite the general blandness of the cinematography. With few exceptions, a DTS-HD mix sticks to the front soundstage. On occasion, baby sharks will sneak up in the rears or water will fill each channel. Generally though, stereos take on most of the positional work. Dialog inside the facility echoes out to the sides. Hull creaks, indicating growing pressure, falls into the soundfield the same way. 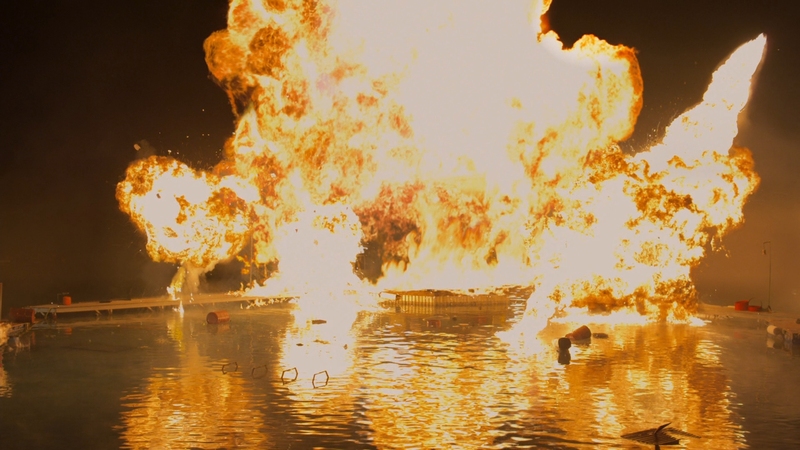 Dynamic range is only fair with marginal LFE use from explosions. Returning to the Deep opens a small selection of bonuses. Twelve minutes is spent fawning over the original Deep Blue Seal and briefly delving into this one. 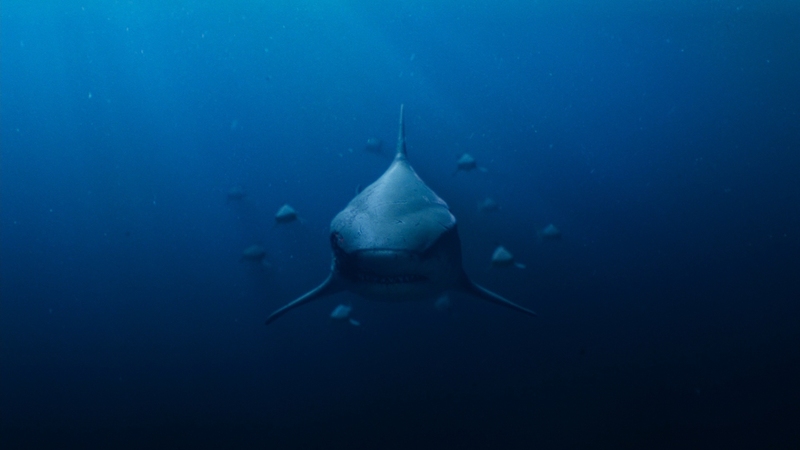 Death by Shark runs six minutes, detailing the kills. A gag reel mostly shows the cast goofing off during down time rather than flubs. Four minutes of deleted scenes mark the end of this disc. 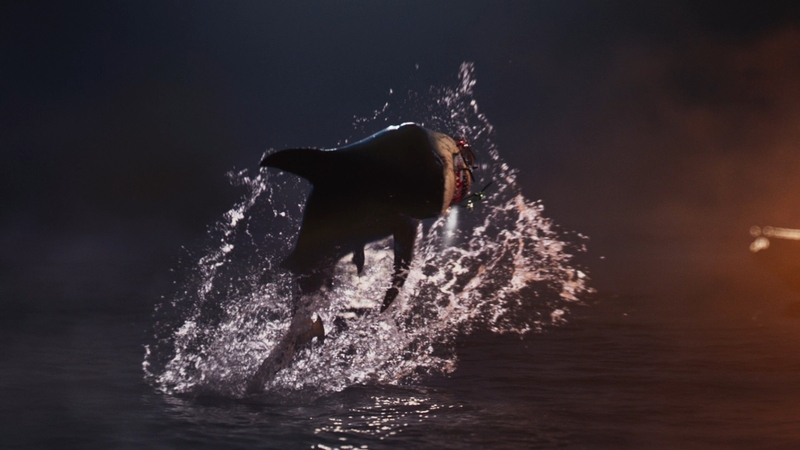 Sharks eat people in the nonsensical Deep Blue Sea 2, a formless DTV throwaway that capitalizes on a name and nothing more. The 15 unaltered images below represent the Blu-ray. For an additional 18 Deep Blue Sea 2 screenshots, early access to all screens (plus the 12,000+ already in our library), exclusive 4K UHD reviews, and more, support us on Patreon.